own villa in the biggest green community . The largest gated community in Dubai, the community is 55 millions sq. ft. 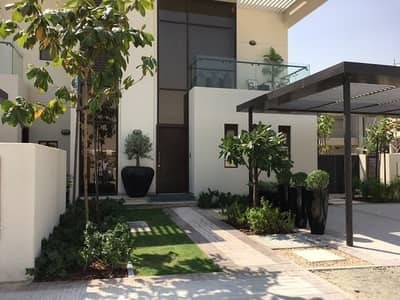 Enjoy living in the best luxury compound around middle east, the compound has stunning Rain-Forest (20,000 Forest trees),live the concept of nature in Dubai, and also the largest golf course in Middle East established by Trump International Golf Club, location is the best among all services around. 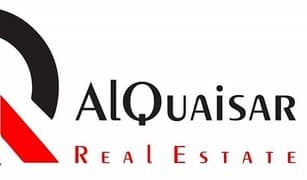 - 15 minute drive from Maktoum International Airport . - 18 minutes from Expo 2020 . - 19 minutes from Mall of the Emirates . - 25 minutes from the Dubai Mall . - 3 Bedroom Villa . - Consists of two Floors . - Maid room with bathroom . -Covered Parking 2 car . - The largest golf course in Dubai . - Tropical rain forest is available . - Swimming pools for adults . - Swimming pool for children . - Barbecue area and enjoy with friends . - Biggest Dancing fountain . - International and National school .